Kidney Ischemia and Reperfusion Injury – Field of Glory or Warterloo for Erythropoietin? Extensive Search for Dry Weight: Should We Change the Strategy? Individualized Sodium Prescription in Hemodialysis: An Ally for Better Dialysis Outcomes? Nephrology – Open Journal (NPOJ) is a combination of two words, Nephros meaning “Kidney” and logy means “the study of”. It specializes in kidney care and treating diseases of the kidneys. Nephrologists are also called kidney doctors. Nephrologists are first trained in internal medicine and then they undergo more training to specialize in treating patients with kidney diseases. They usually treat kidney diseases like Chronic Kidney Disease (CKD), Polycystic Kidney Disease (PKD), acute renal failure, kidney stones and high blood pressure and are educated on all aspects of kidney transplantation and dialysis. 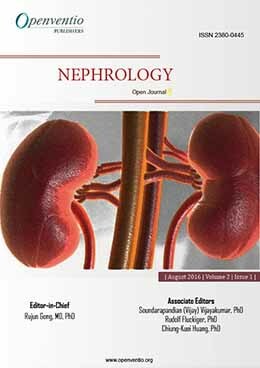 However Openventio aims to widespread all the detailed matters related to Nephrology through its Open Journal to all the scientific community for its welfare and also provides invaluable and gratefully acknowledged logistic help for the subsequent international knowledge, experience and skills as their assets. 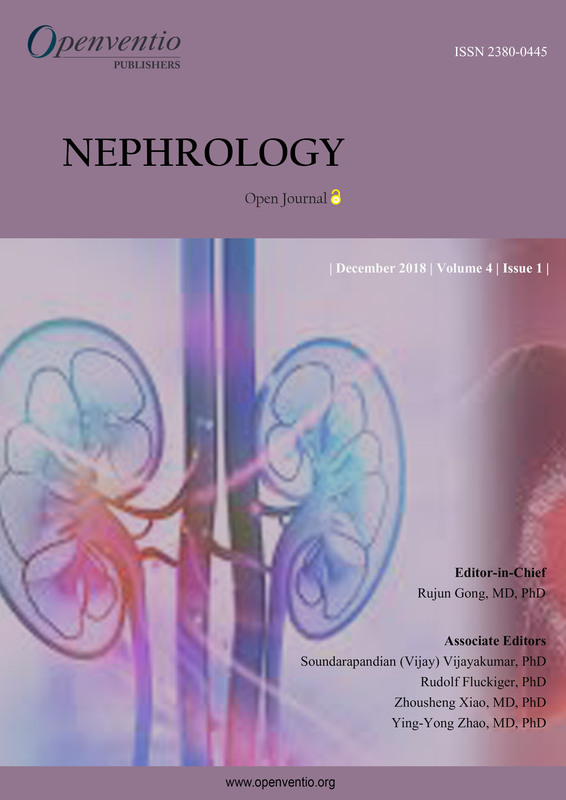 Nephrology – Open Journal (NPOJ) is dedicated to the open dissemination and robust discussion in the area of nephrology and its related fields. 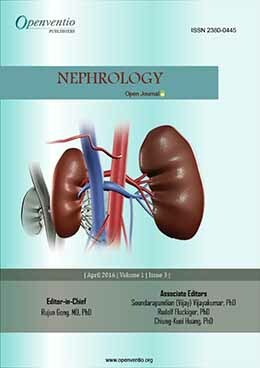 This journal focuses on Nephrology and its related fields. 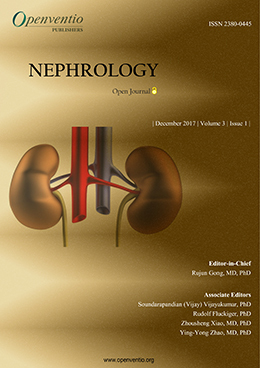 NPOJ covers a very broad range of topics such as dialysis, tubular/interstitial disorders, glomerular/vascular disorders, hypertension, mineral metabolism, kidney transplantation, management of acute kidney failure. Management of nutrition, chronic kidney disease, sonograms, x-rays and other tests. It also covers a wide spectrum concerning secondary hyperparathyroidism, blood pressure control, diabetic nephropathy, vasculitis, primary glomerulonephritis, transplant immunology, and medical management of the transplanted patient, as well as the microinflammatory state in renal failure. Submissions for this Journal are accepted from the very basic nephrology studies to the advancements in the field. 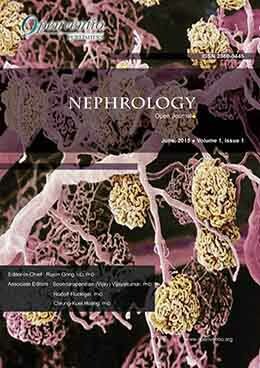 This journal accepts manuscripts based on basic nephrology to advanced nephrology. The audience of NPOJ includes nephrologists, internal medicine physicians, registered nurses, nurse practitioners, certified physician assistants, pharmacists, social workers, dietitians and all allied healthcare professionals working with patients who have Chronic Kidney Disease (CKD) or End-Stage Renal Disease (ESRD), clinicians, surgeons, nurses and others. All types of articles such as original research, review, case-report, mini-review, editorial, short-communication, book-review, opinion, commentary, Letter to the Editor, conference, proceedings, technical report, errata and illustrations is most welcome for publication in this journal.